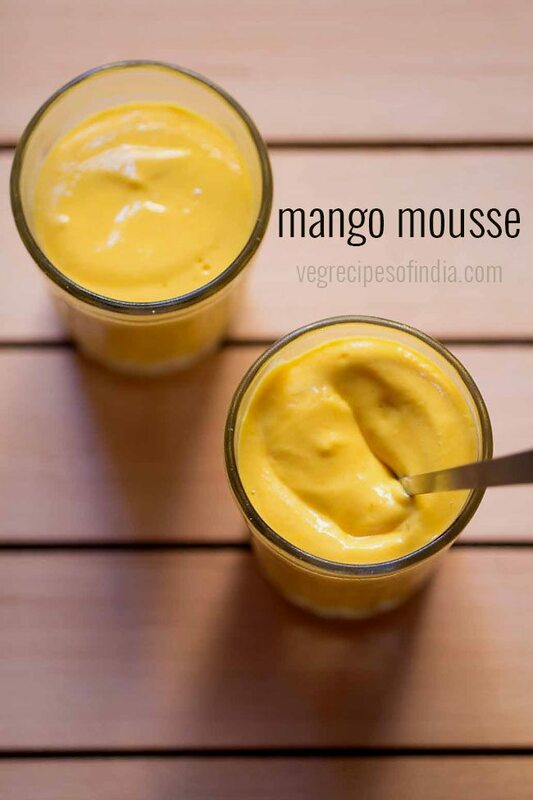 this mango mousse recipe is eggless and a vegetarian one as no gelatine or even agar agar is used for setting the mousse. mango mousse recipe with step by step photos. 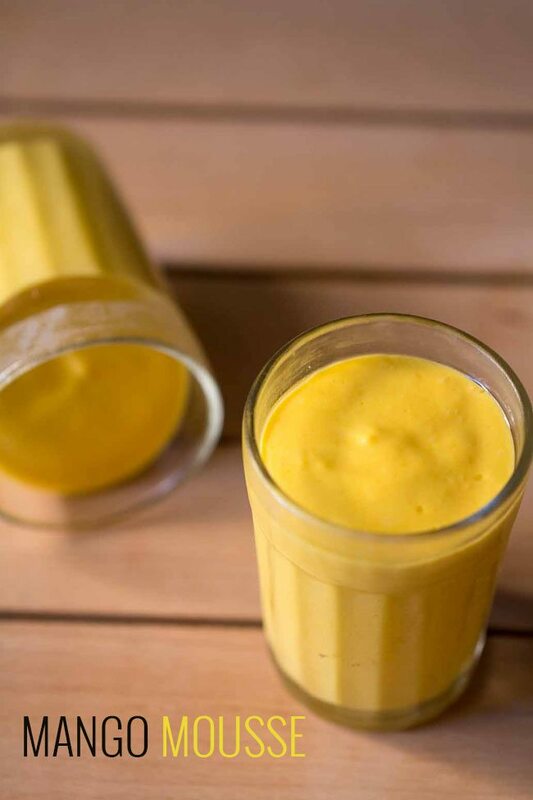 here is a quick and easy mango mousse that you can whip up if you want that special dessert or if you have unexpected guests coming for dinner. this mousse recipe is eggless and a vegetarian one. i have not used any gelatine or even agar agar for setting the mousse. 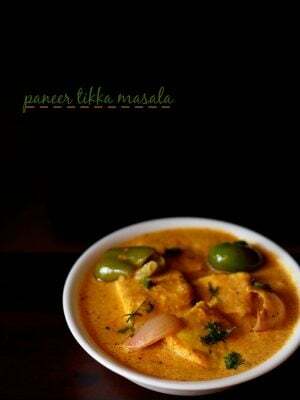 the mango mousse is light, creamy and heavenly with the gorgeous aroma and color of the mangoes. i have used amul low fat cream for this dessert and it works very well when you make desserts like mousse or for cream icings on cake. a gorgeous and beautiful dessert of mango mousse for the summers. if you are looking for more mango recipes then do check mango cheesecake, mango panna cotta, mango ice cream, mango kulfi, mango falooda and eggless mango cake recipe. in a blender, add the chopped mangoes. take cream in a bowl. 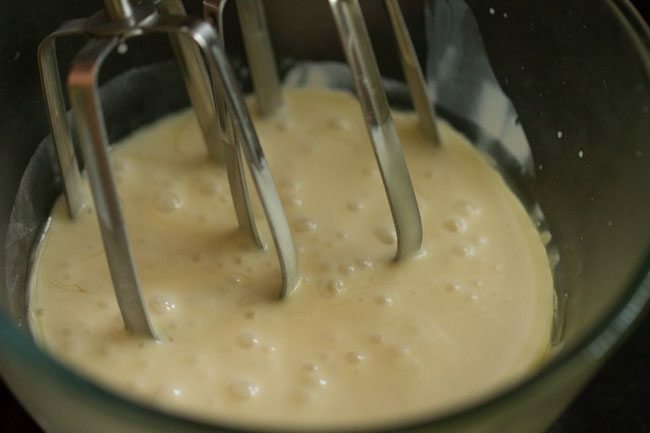 you can use a electric beater or whip manually with a wired whisk. i have used an electric beater. beat till cream is soft and fluffy. ensure you don't over whip or over beat the cream. add the mango puree to the beaten cream. serve mango mousse in glasses. cover and chill the mousse in the refrigerator for some 20-30 minutes or more. garnish the mango mousse with chocolate shavings or chopped dry fruits or any fruit preserve and enjoy the delicious mango mousse. 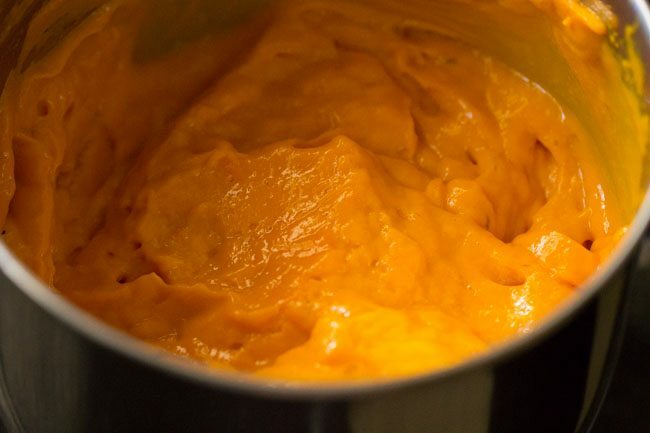 the mango mousse recipe can be easily doubled or tripled. 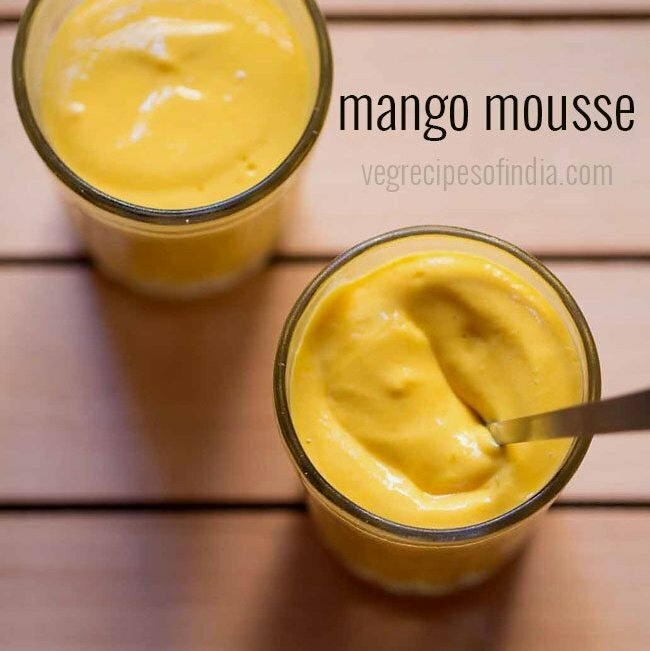 instead of mangoes, the mousse can also be made with bananas or strawberries. 1. in a blender, add 2 medium sized chopped mangoes. 3. take ½ cup low fat cream or whipping cream in a bowl. you can use a electric beater or whip manually with a wired whisk. i have used an electric beater. 4. beat till cream is soft and fluffy. ensure you don’t over whip or over beat the cream. 5. add the mango puree to the beaten cream. 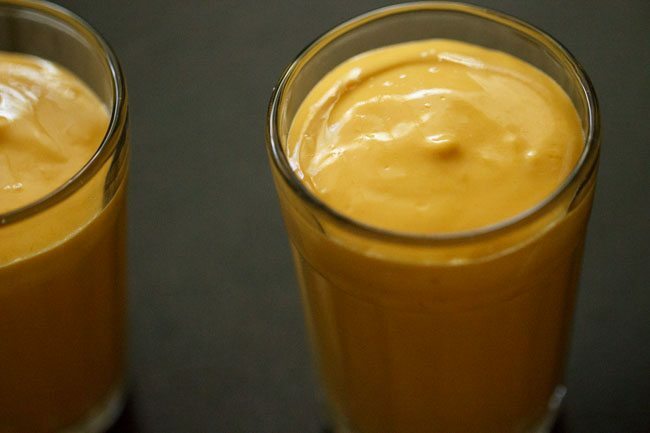 7. serve mango mousse in glasses. cover and chill the mousse in the refrigerator for some 20-30 minutes or more. 8. garnish the mango mousse with chocolate shavings or chopped dry fruits or any fruit preserve and enjoy the delicious mango mousse. you can. it stays good for a couple of a days. 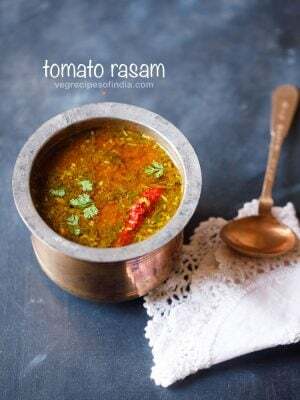 Thank you so much for the recipe. This is the first time I am trying mango mousse…kids really liked it. Welcome Mehra. Glad to know this. 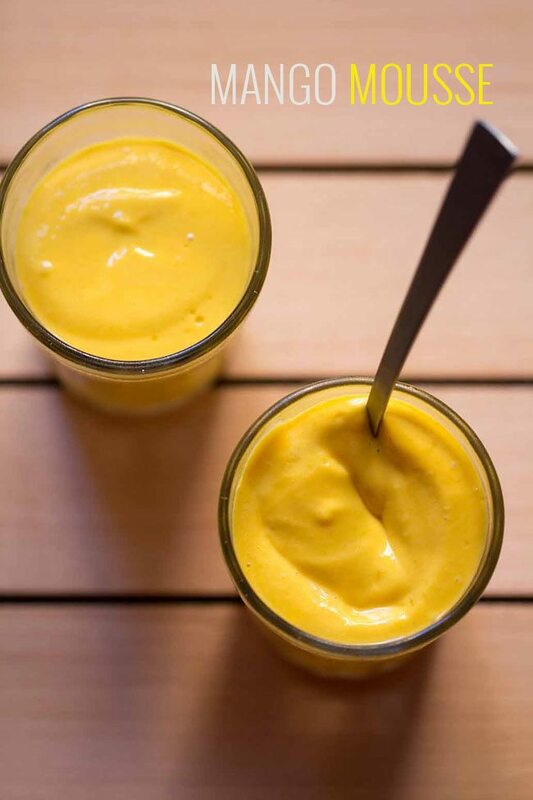 HI Dassana, we don’t have mango season here in Australia now but I do wish to try your mango mousse recipe. 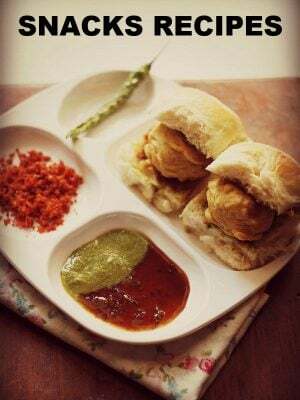 Can I use tinned mango pulp instead of fresh purée n if I can would the amount of pulp required be still the same or do I have to adjust it. Will all other measurements be the same – cream n sugar. 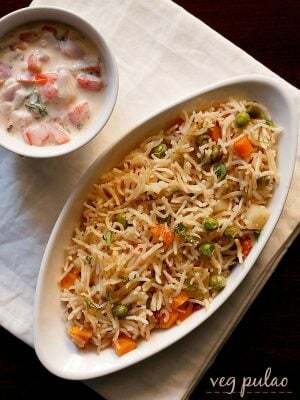 We get some Indian brands mango pulp in Asian groceries, which one do you suggest I use and what variety of pulp should that be as in Alphonso or any other type of mango? Salwa, yes you can use readymade mango pulp. i don’t know the brand. alphonoso mango pulp will be the best. 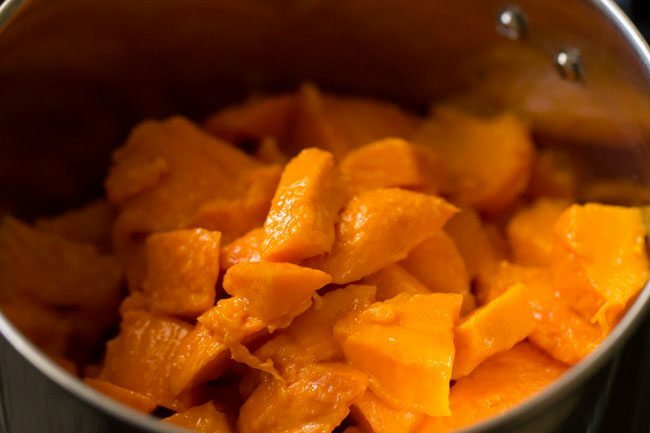 you can use approx 1.5 to 2 cups of mango pulp. 1. Can I add vodka 2 tablespoons to this mango mousse? 2. In one of the comments you have answered you can use lemon juice instead of alcohol, why is this so? 3. 2 medium size mangoes- means how many cups mangoes chopped? 4. Also in your other chocolate banana mouse recipe, which brand of chocolate are you using? Thanks Prats. Yes you can add Vodka. Lemon juice for giving slight tang to the mousse. because some people like it that way. I use couverture chocolate and the brand is callebaut. it comes around approx 1 cup. 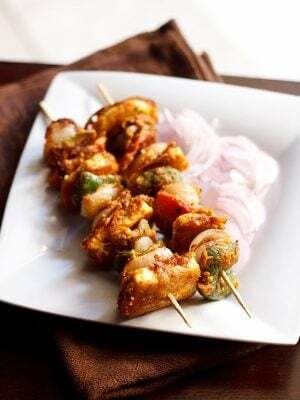 thanks for this recipe..its always a hit at parties. then you will have to include more tins or cans to increase the proportions. also the proportion of cream and sugar will increase. Hey ur recipes are too good. They turn out awesome every time. Loved the eggless chocolate mousse. 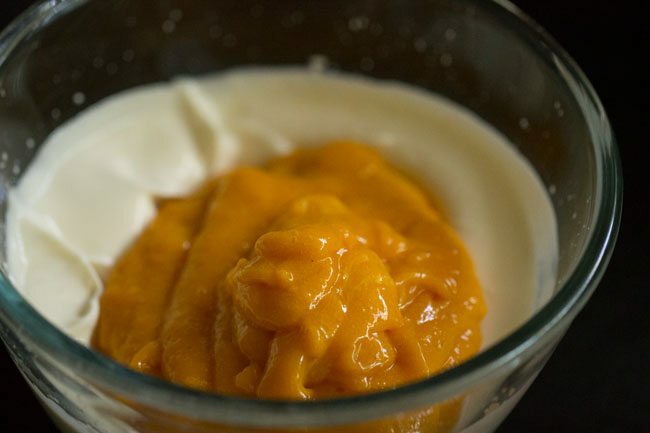 For mango mousse can i substitute cream with gelatin for setting? I mean do i need to add cream if i am adding unflavored gelatin. What would be the quantity of gelatin? thanks. 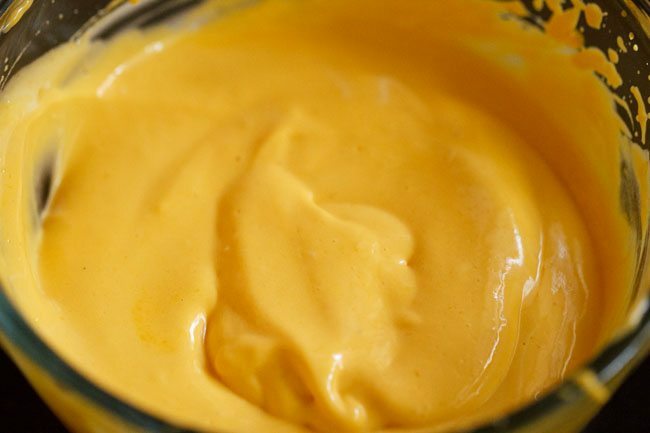 for mango mousse cream is one of the essential ingredients. gelatin is not required. you can add a bit of gelatin if you want. i think 1/2 teaspoon gelatin should be fine. you can use both cream and gelatin. in most commercially made mousses, along with cream, gelatin is also added. 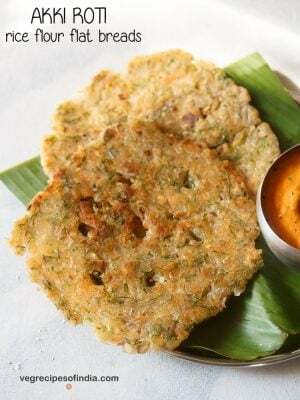 Can i use pineapple instead of mangoes? ruchi, i won’t suggest. as pineapple might react with milk. you can use bananas, strawberries. recipes are amazing. sply the picture presentation. I wanted to know how much should I whip the cream in the blender. I am going to try this with mango purée just the way you mentioned your strawberry mousse. I just want to understand how much should I whip that cream. just blending on medium speed for 1/2 a minute. stop, check and continue if you do not get soft peaks. the time will depend on the fat content of the cream. 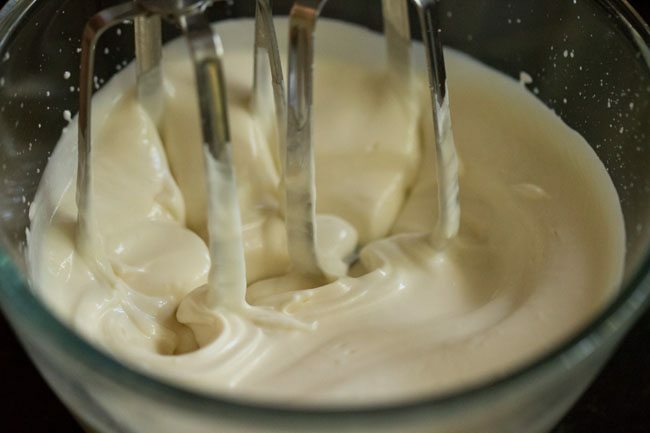 the more fat content, the faster the cream will whip. can i use coconut cream (plus follow the same steps) to make it vegan? yes pia, you can use coconut cream easily. thanks himani. agar agar will surely help to set the mousse. i would suggest using agar agar. 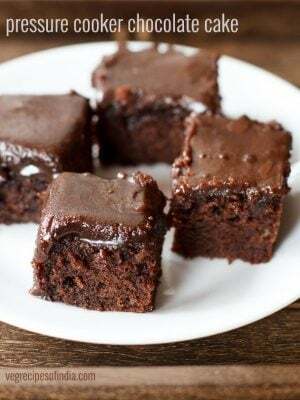 if you are making individual cup cakes than you can skip agar agar. amul cream works. i use amul cream for the icings i make. use a good blender or stand mixer to whip the cream. you have to adding icing sugar while whipping the cream. 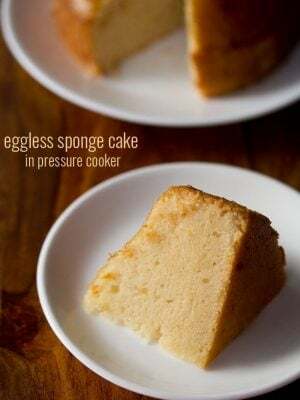 only add icing sugar. don’t add any other sugar, even powdered sugar does not work. when adding any other sugar amul cream does not blend till stiff peaks. remember to use chilled cream.